Our thanks to Candia Woods Golf Links ladies league for donating $1,500 to the New Hampshire Breast Cancer Coalition for our Support Services Fund! NHBCC Board member Deb Smith and NHBCC President, Nancy Ryan, joined the group for lunch and to receive the donation. 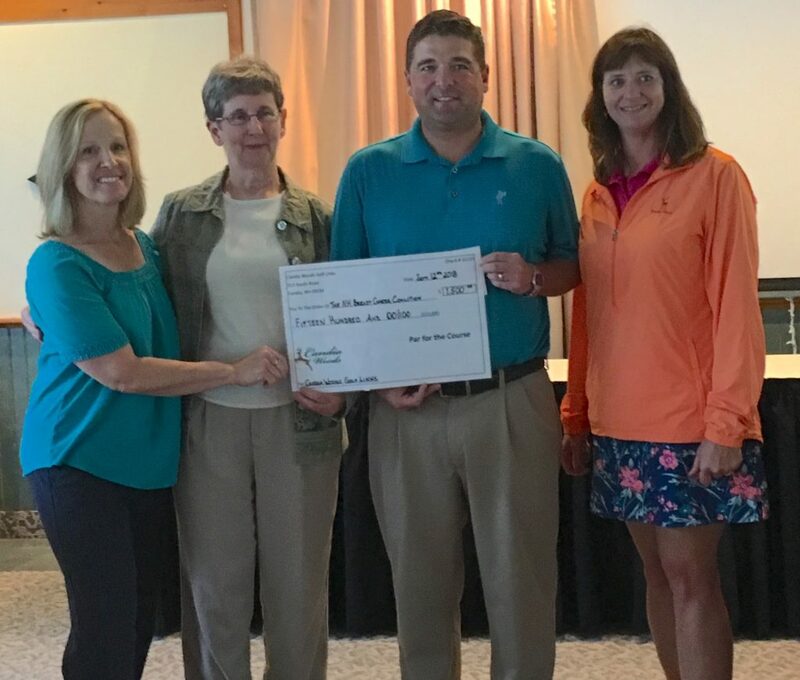 Here from left to right are Deb Smith (NHBCC Board Member), Nancy Ryan (NHBCC President), Shaun Bishop (General Manager, Candia Woods Golf Links), and Denise Johnson (event organizer).